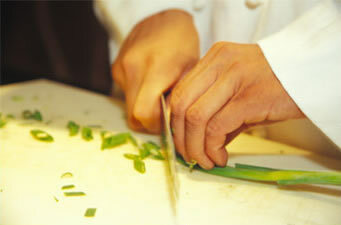 Our sushi is made fresh to order by our sushi chef. 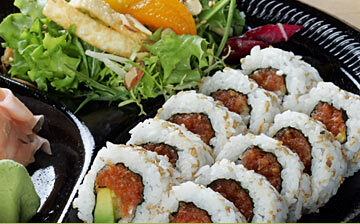 Our SanSai rolls are made fresh to order by our sushi chef. Ready to treat yourself to something really special? 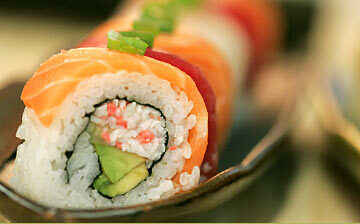 Choose one of our popular specialty rolls and your tastebuds will be tingling! Ten pieces of assorted nigiri, including tuna, salmon, shrimp, and tilapia served on a pillow of rice. 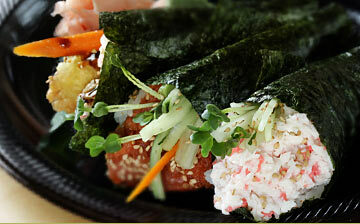 Three hand rolls of your choice from our selection of fresh sushi. 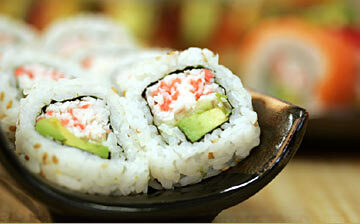 Surimi crab meat, cucumber, avocado, and sesame seeds. Shrimp tempura, cucumber, yamagobo, surimi, and unagi sauce, garnished with crunchy tempura. Cucumber, avocado, yamagobo, kaiware sprouts, takuwan radish and sesame seeds. Fresh spicy tuna, avocado, cucumber, and sesame seeds, garnished with masago and green onions. Fresh salmon, cream cheese, avocado, and masago. Fresh salmon, avocado, cucumber, and masago. Boiled shrimp, crab meat, avocado, cucumber, kaiware sprouts, and sesame seeds. 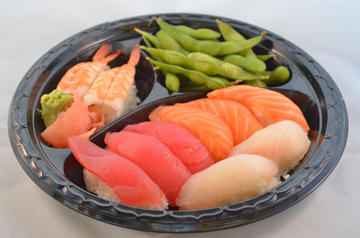 California roll generously topped with fresh tuna, salmon, tilapia and boiled shrimp. Garnished with green onions and masago. Freshwater eel, shrimp tempura, surimi, avocado, cucumber, and yamagobo inside. 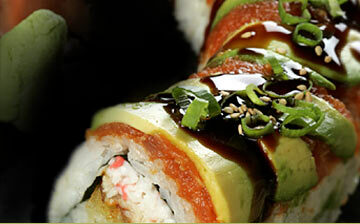 Garnished with spicy tuna, avocado, unagi sauce and green onions on the outside. 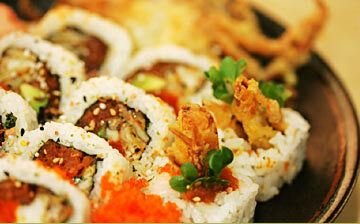 Fresh spicy tuna, shrimp tempura, avocado, garnished with unagi sauce, furikake, sesame seeds and green onions. Surimi crab meat, cucumber, avocado, and sesame seeds, and Salmon on top. Surimi crab meat, shrimp tempura, cucumber, and yamagobo. Garnished with raw spicy tuna, Unagi sauce, and crunchy tempura. Surimi crab meat, cucumber, avocado, and sesame seeds, and Tuna on top. Eel, surimi crab meat, and cucumber. Garnished with thin slice avocado, Unagi sauce, and sesame seeds. California Roll and eel on the top. Garnished with Unagi sauce and sesame seeds.